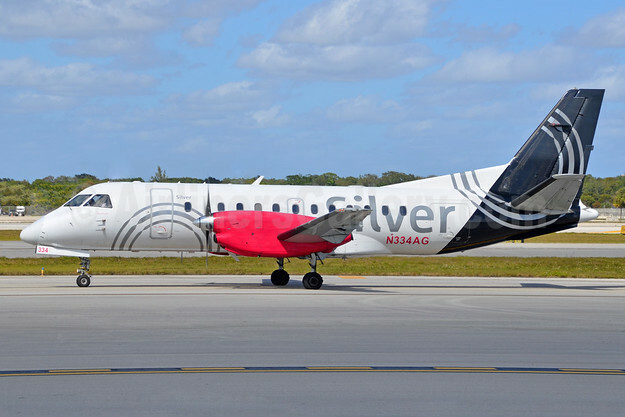 Silver Airways has announced that it is starting daily nonstop service between Fort Lauderdale-Hollywood International Airport (FLL) and Pensacola International Airport (PNS) beginning on February 13, 2019. 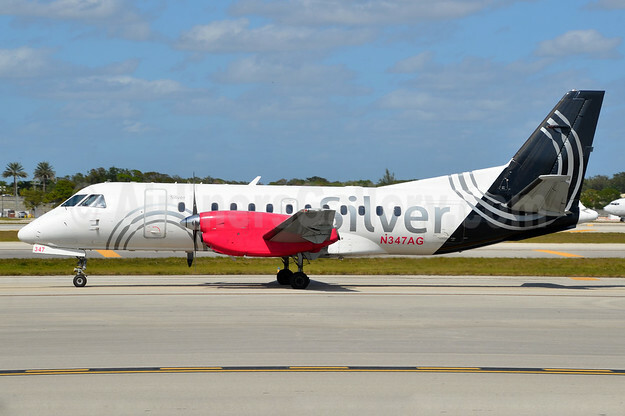 Top Copyright Photo (all others by Silver Airways): Silver Airways SAAB 340B N347AG (msn 447) FLL (Bruce Drum). Image: 104465. 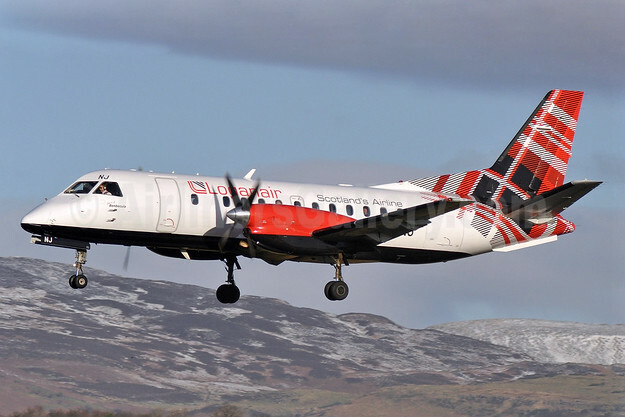 This entry was posted in Silver Airways and tagged msn 447, N347AG, SAAB 340B, Silver Airways on November 21, 2018 by Bruce Drum. PenAir has informed the Department of Transportation (DOT) it would end service to Boston from Presque Isle, Bar Harbor and Plattsburgh, NY a month earlier on June 1, due to a loss of mechanics and pilots. This leaves Presque Isle without airline service until United Express begins service on July 1. 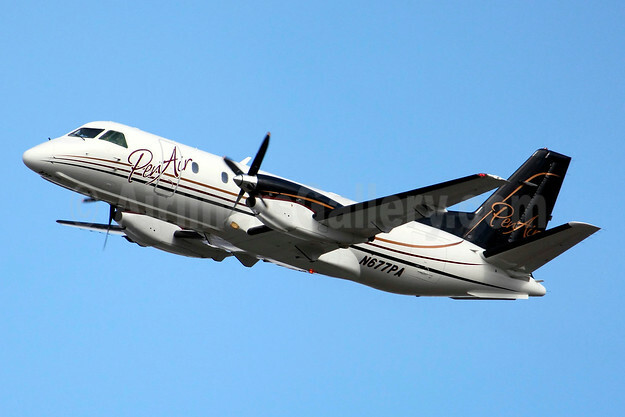 Top Copyright Photo (all others by PenAir): PenAir (Peninsula Airways) SAAB 340B N406XJ (msn 406) BWI (Tony Storck). Image: 912875. 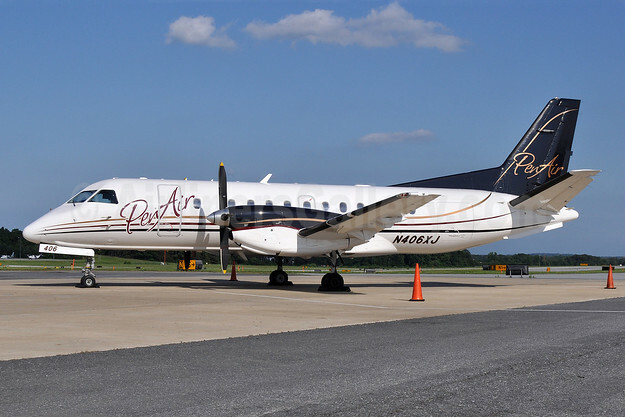 This entry was posted in PenAir (Peninsula Airways) and tagged msn 406, N406XJ, PenAir (Peninsula Airways), SAAB 340B on June 7, 2018 by Bruce Drum. Legacy Airways (Lakeland) is a new on-demand charter airline in Florida now operating its first SAAB 340B. 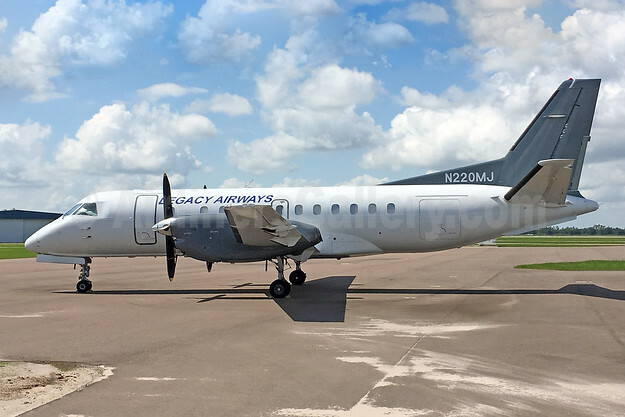 Central Florida-based Legacy Airways is pleased to announce their continued growth with the addition of two additional SAAB-340B 30 passenger turbo-prop regional aircraft to its ever-growing fleet. The announcement for Legacy’s expansion comes shortly after the carrier completed a very successful year of operating a full schedule of charter flights for collegiate sports teams, numerous casinos, corporate, as well as group incentive trips. The two aircraft will join the company’s fleet in May and July of this year with Legacy Airways having options to add even more aircraft by years end. The SAAB 340B aircraft is the foundation of the Legacy Airways fleet and has a long track record in the aviation industry as being one of the most reliable, safe, and cost-effective aircrafts to operate. Because of their perfect 30-seat passenger configuration and baggage carrying abilities, the SAAB 340B fills the void between choices of a smaller 8-9 seat commuter aircraft and 50 seat regional jets for those that are interested in chartering with Legacy Airways. Founded in 2012, Legacy Airways LLC carries an FAA 135 certification and Argus Gold rating status for charter air operators. 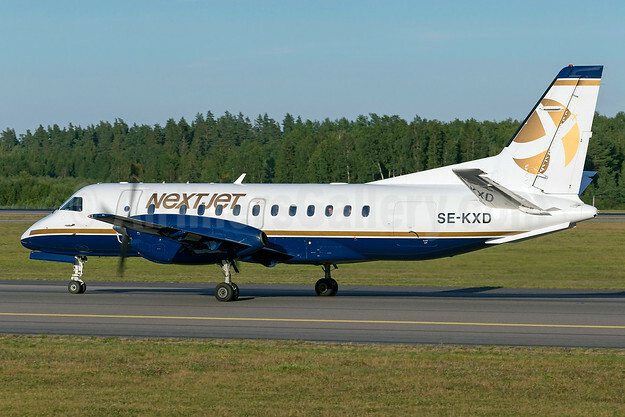 The company is based out of Lakeland, Florida and operates a fleet of 30-seat SAAB 340B turbo-prop aircraft. Legacy Airways prides itself on continually striving to maintain the highest levels of safety, quality, and guest experience. Working through Legacy Flights LLC, the charter airline is operating weekend charter trips from Lakeland to Key West and back. This is the only passenger service from LAL (between Orlando and Tampa). The fare is $199 roundtrip. The first flight started on June 2, 2018. The company hopes to also start trips from LAL to Bimini in the Bahamas. Top Copyright Photo All others by Legacy Airlines): Legacy Airways SAAB 340B N220MJ (msn 220) (GLO Airlines colors) LAL (Bruce Drum). Image: 104674. This entry was posted in Legacy Airways and tagged Legacy Airways, msn 220, N220MJ, SAAB 340B on June 3, 2018 by Bruce Drum.